As a young marine stationed in Twenty Nine Palms California in the 1990’s, I became certified in the Marine Corps chemical decontamination procedures. All service members go through a certain amount of chemical training, they have to demonstrate an ability to don and clear their gas mask while exposed to the harsh CS gas, and they must be able to put on their chemical suits in a “hurried fashion.” Perhaps you are a marine veteran and you remember going through the gas chamber at Camp Pendleton. It was hell to say the least. Being trained in decontamination procedures means you are part of a specialized team that would “take charge” of an area that has been attacked with nuclear, biological or chemical (NBC) weapons and essentially decontaminate equipment and personal. One of the most interesting points about the training was the exposure to a couple of videos in which the military readily admits they performed classified experiments on service members. These experiments were conducted with hallucinogenic drugs like LSD and mescaline. While the original intent of such testing was supposedly to counter Soviet attempts to use the drugs as a method of interrogation, conspiracy theories abound about a much darker purpose which involved brain washing and even the creation of “sleeper agents” that could be awoken to carry out a preprogrammed task that the individual is not consciously aware of. These programs were known as MK Ultra. This is interesting considering the fact that today, nearly 70 percent of our population is taking some type of psychotropic medication. Is there a connection? I don’t know, but what is clear is that these drugs influence behavior and in many cases may cause people to carry out homicidal acts. Most (if not all) of the recent mass shooting incidents involved shooters who were taking heavy doses of SSRI’s (serotonin reuptake inhibitors), and in many cases, certain companies are trying very hard to keep this information from becoming public. The only logical conclusion that can be drawn from this information is that we currently have a government exploiting tragedies they know they are lying about to push an anti-gun agenda, while simultaneously protecting the very people that profit from the likely cause of such tragedies, psychotropic drugs. A great deal of money is spent on marketing and the hiring of psychiatrists that will push the drugs, and the profits from these investments are in the billions. Is it possible that these military experiments had a darker purpose still, one that we currently see coming to fruition? I would argue yes, because the consciousness of the nation has surely been affected by the fact so many people are using these drugs. If the social scientists of the 1950’s and 60’s could use drugs like LSD in order to see how readily subjects would give up information, wouldn’t it be possible that decades later their mental manipulation techniques have evolved far beyond that capability? Would it be possible to create a compliant, non-questioning society that would willingly go along with almost anything? Aldous Huxley believed that such a society could be created through the use of pharmacology. “There will be, in the next generation or so, a pharmacological method of making people love their servitude, and producing dictatorship without tears … they will be distracted from any desire to rebel by propaganda or brainwashing, or brainwashing enhanced by pharmacological methods. This seems to be the final revolution.” — Aldous Huxley. I’m not sure if there is another quote that so chillingly reflects today’s society. Is it possible that the social engineers and central planners are counting on the fact that most of us are on some sort of mood-altering substance in order to advance a socialist agenda? Is it possible that they believe they can manipulate our emotions and guide our reactions to tragedies like Sandy Hook and San Bernardino based on the fact that they know many of us are doped up on anti depressants? The answer to that question is evident by how frequently these drugs are prescribed. I was given a prescription for an antidepressant from the V.A. simply because I said my arm was numb from a pinched nerve. It is also apparent that there is an ulterior motive considering the fact that these drugs are now deliberately prescribed to children, and in many cases, against the parents will. Could there be an agenda to deliberately cause mental health issues in America to prove the need for gun control? If these drugs have harmful effects on the brain, then what is the point in prescribing them to children? America, it is beyond obvious that there is an agenda to implement social controls using the mental health industry and pharmacological drugs. The new DSM V has been released and it contains hundreds of so called mental health disorders that can be explained as emotional issues. While it is overwhelmingly obvious that not all Americans can be so easily influenced, it doesn’t change the fact that millions of our children are still being given these types of drugs for fake disorders like “operational defiance disorder,” and if we don’t wake up to the connection between psychotropic drugs, mass shootings and the fact that government is attempting to pacify us so we will accept communism, we will have hell to pay. 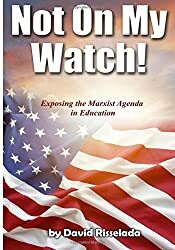 To learn about the left wing indoctrination taking place in our universities, read my book Not on my Watch: Exposing the Marxist Agenda in Education.